Are the World Trade Organization's Policies detrimental to small Islands' economies? Are the small islands treated as pawns in the international trade market? Is the banana trade still profitable for the Windward Islands? Is diversification in agriculture a feasible option for the Windward Islands banana farmers? Does globalization offer a level playing field for all players? Are the people of the Windward Islands masters of their own destinies? How can the farmers and governments of small Islands economies position themselves to grapple with the challenges that are imposed upon them by outside influences? 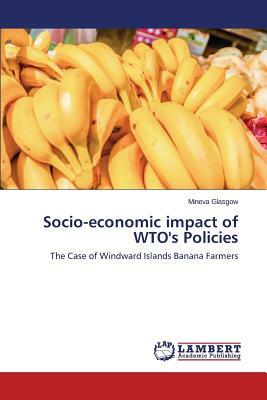 These crucial questions are addressed with amazing frankness in the book "The World Trade Organization's (WTO's) policies: The social and economic impact on Windward Islands Banana farmers." The book expresses the opinions of farmers and public policy officials plainly and forthrightly. The book is packed with information on the challenges faced by the banana farmers during a period of transition and change in international trade policies. This book is a must-read for anyone who is interested in international politics and trade.